Following the release of her acclaimed debut solo album ‘Crystal World’ in 2013, MARNIE has unveiled a brand new single ‘Wolves’, a taster for her new album due for 2015. Released to coincide with the Scottish Independence Referendum, it has been described as “a soaring anthem for anyone that doesn’t believe in sticking with the status quo”. Meanwhile, the lead singer of LADYTRON has been seeking her own path of independence since relocating back to her hometown of Glasgow. Featuring marvellous synthpop songs such as ‘The Hunter’, ‘Sugarland’, ‘Hearts On Fire’ and ‘High Road’, while a solo effort, ‘Crystal World did not venture too far away from the LADYTRON camp as it was co-produced by band mate Daniel Hunt. 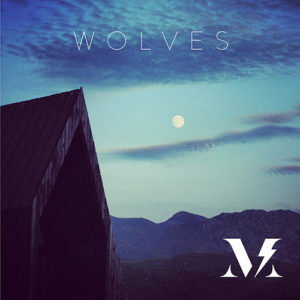 However, ‘Wolves’ is the fruit of her first collaboration with Jonny Scott of THE KILLS and OLYMPIC SWIMMERS fame. 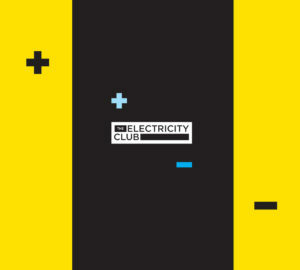 The Electricity Club wasn’t expecting news of a second solo album so soon, so how has this come about? I guess I’m just not finished yet! I really enjoyed writing for myself and have been writing on and off for the past 8 months, and will continue to do so. I like the freedom that it gives me. I’m hoping by early next year I should have a complete album. That is my plan anyway. You’re not working with Daniel Hunt on this new album? No. I was happy to work with Danny on my first solo record, but it’s always been important to me to work with different people. Having moved to Glasgow, I really wanted to be more involved with the scene there. I was introduced to producer and drummer Jonny Scott through Iain from CHVRCHES and we just kind of clicked. He’s been busy with THE KILLS for a while, but we still managed to work on a couple of tracks, one of them being ‘Wolves’. Looking forward to doing more later in the year. ‘Wolves’ has been inspired by the Scottish Independence Referendum campaign? Yes, I wrote the song in January, before everything began to fizz and boil over. The sentiment of the song is basically that change is needed. Whichever side of the fence you sit on, I’m sure everyone can agree on that. People power can do a lot, and people are tired of a Westminster that is looking out for itself. What are your thoughts about the referendum result and your hopes / fears for the future of Scotland? I am desperately disappointed with the result, having been firmly in the yes camp. It’s such a foreign feeling. One you can’t quite pinpoint, but is ultimately loss. However, I’ve had a few days now to re-evaluate things and think on the positive. I still think good will come from the referendum, and that change will come. If it doesn’t, then all hell could break loose from both yes and no voters. I do hope that Scotland gets another chance, but in the meantime I just plan to get on with things. One thing though, Scotland is politically mobile now, like it’s never been before. There has been so much passion here with regards to the debate, coming from both sides. People actually care… which is a great feat. How did you feel about the warm reception for your first solo album ‘Crystal World’? I’m really happy with the way ‘Crystal World’ was received. People really got behind my Pledge campaign and I was lucky to have the support of LADYTRON fans. Without them, I doubt I would’ve made my target. What of the songs on ‘Crystal World’ have you been most proud of and why? I’m pretty much proud of them all as I never really believed I was capable!! But I guess if I had to pick one or two I would choose ‘Submariner’ and ‘Gold’. ‘Submariner’ reminds me of a sad time, but also makes me smile. I envisage the sea and the coastline of the North East of Scotland and golden light over fields when I listen to it. ‘Gold’ was the last song to be written and I flew back to Iceland in December 2012 specifically to record it. Although the song is associated with reminiscing, it has a sense of closure for me. Is there anything that you wished you’d approached slightly differently on ‘Crystal World’? There are always things that could’ve been done differently, but there is no point dwelling on something you cannot change. I feel lucky to have got the album out. There were times when I thought that might not happen. After the Pledge campaign, ‘Crystal World’ secured a wider release on the prestigious Les Disques Du Crépuscule label. How will you be going about issuing your second long player? I’m still at the writing stage at the moment, so to discuss something else so far down the line makes no sense to me. I just want to concentrate on getting all the songs together, being happy with them, and then I can take it from there. People are going to ask, what’s the state of play with LADYTRON at the moment? LADYTRON are fine. Everyone’s still doing their own thing, but we are also all writing. With two albums of solo material, live dates must be closer to being a possibility? I’m hoping to start rehearsing with a band later this year. Fingers crossed that all goes to plan. Which will mean I am open to bookings. Any takers?